I know, I said last week's post was the last weekly post of the year. 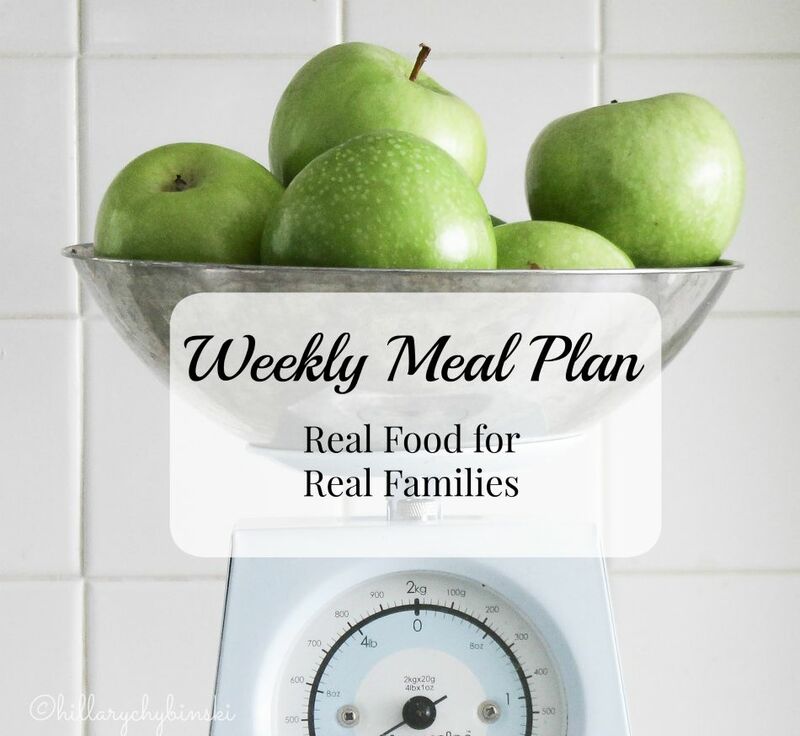 But with the first of January not happening until Friday, every calendar I look at says 2015 has 53 weeks . . .making THIS the official last week of the year, and that means we need a meal plan. Let me confess that I barely realized it was Sunday - I've been lost in a cloud of vacation and post holiday bliss. Everyone in my family is home this week, so we are planning to make the most of it. That means lots of meals out of the house, more snacking and less three-course meals this week, and generally a big relaxing of all the family dinner "rules". So my meal plan, is basically just making the most of what we have on-hand. With that said, I did want to share a few of my Meal Planning Goals for 2016. 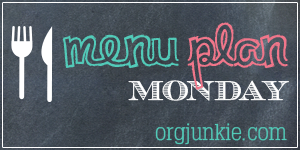 You can count on regularly posted meal plans each Monday morning right here through 2016. I would love for you to share ideas, favorite recipes, ideas, etc. This is a space for sharing ideas and inspiration - and I would love some of that to come from you as well! 1. Establish a regular breakfast and lunch routine. I'm not a breakfast fan, and working form home can be disruptive to lunch. But I'm vowing to get back in the green smoothie habit and eat a healthy lunch. 2. Explore new recipes. I tend to fall into a rut, and we eat the same things over and over. A great example is the new Taco Peppers that will appear on next week's menu. It's a new way to enjoy our old favorite, Taco Tuesday. 3. Vegetables. All of need to incorporate more vegetables into our meals. I hope to add some more Meatless Monday options to my meal plans. 4. Once a Week Take Out. I confess, we do take out twice a week most weeks. By the time the weekend gets here, my groceries and ideas are depleted. I'm going to try and incorporate more of a plan into my weekend schedule to prevent this. There you have it. Four pretty simple goals to expand my meal planning process and improve our health. Here's to a fantastic 2015 of planned meals, and an even better 2016! What are your meal planning goals for 2016? I REALLY need to meal plan better. Our dinners are known as "whatever we've got." Great goals! We've been so lossey goosey these last few weeks because of the holidays. Looking forward to getting back into the swing of it in 2016.